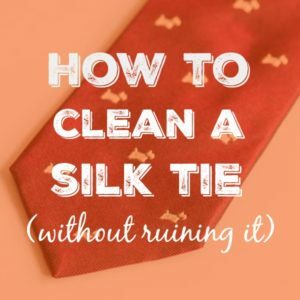 March 3, 2017 0 comments on "How to Clean a Silk Tie Without Ruining It"
Are you wondering how to clean a silk tie without ruining it? Silk ties require special care and handling to ensure that they will last for many years. These tips will help you give your silk ties the attention they require. There are some easy ways that you can help ensure that your silk ties stay looking as good as new. After you take off your tie, make sure to unknot it before you hang it up. Leaving it knotted will cause wrinkles that are hard to remove later. If left knotted for an extended period of time, the creases can become permanent. When removing the tie, be careful not to pull too hard on one end as you take it off. Stretching the fabric can cause irreversible damage to the tie. If you need to press out any creases or wrinkles in your tie, hand held steamers work great to make your tie look its best. You can buy a hand held steamer online from Amazon. These steamers come in very handy while traveling. They fit easily in your suitcase, and not only will they help keep your tie wrinkle free, you can also use it to freshen up your dress shirts and pants. Some people do iron silk ties. Although it is usually not recommended, if you cover the tie with a thin cloth and have your iron on a low setting, it generally will not harm the tie to iron it. It is a good idea to rotate the ties in your wardrobe. If you wear the same tie every day, it will wear out quickly. It is good to have at least four ties in your wardrobe and to rotate them daily. Try not to wear the same tie more than two days in a row. Store your ties by hanging them in the closet on a tie rack, or you can also hang them around the collar of your suit jacket. When traveling, try to avoid folding your ties in your suitcase or it will cause creases in the fabric that are hard to remove. Roll them instead, and tuck them away in a sock or the pocket of your suit jacket. Of course the best way to keep a silk tie clean is to prevent spills in the first place. If you are going to be wearing a tie while eating, try to cover it up with a napkin. However, accidental spills are inevitable. Silk ties are hard to clean. You can’t throw them in the wash, and it isn’t advisable to dry clean them. The best way to clean a silk tie is to spot clean it. To try to clean it at the time of the spill, use a cloth napkin to apply a little club soda or seltzer water to the spot. This will help remove small stains. The key is to blot the stain, not rub it. Rubbing it will cause the stain to spread. There is a secret weapon for silk tie stain removal…rubbing alcohol. Use a cloth to dab the rubbing alcohol on the spot, and then dry it with a hair dryer. If it doesn’t come out on the first try, then repeat. You will be surprised at how many stains this will take out of silk ties. It even works on grease stains. If you have a stubborn spot that you can’t get out, you might have to replace your tie. You can try the dry cleaners, as a last resort, but some stains even they can’t get out. However, if you are wondering if silk ties can be dry cleaned, there are some dry cleaners that specialize in cleaning silk ties. With the money you spend on silk ties, you want them to last as long as possible. With proper cleaning and care, you can significantly extend the life of your favorite silk ties. 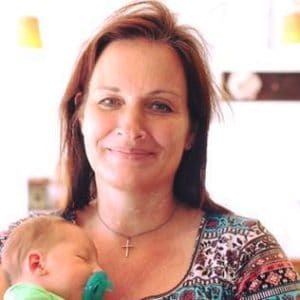 James Scaggs is the Director of Marketing for ecommerce retail sites Ties.com and Scarves.com, based in Orange County California.